At Creative Kitchen, it is our pleasure to serve you. The catering guide highlights our most popular selections but is not inclusive of our full catering capabilities. Chef and Owner Dana Loehn and his professional staff at Creative Kitchen and Catering are eager to work with you to create the event you want. The use of fresh local ingredients and a scratch menu make the difference, at Creative Kitchen and catering they pride themselves on being able to help you create memories. Allow Creative Kitchen to deliver and set-up any event for a seamless memorable day or evening to getting your job done with no worries or make it even more hassle free and have your cocktail reception in our facility with indoor and outdoor seating. Creative Kitchen can also provide tents, DJ’s, photographers, wait staff and full bar service for any event. 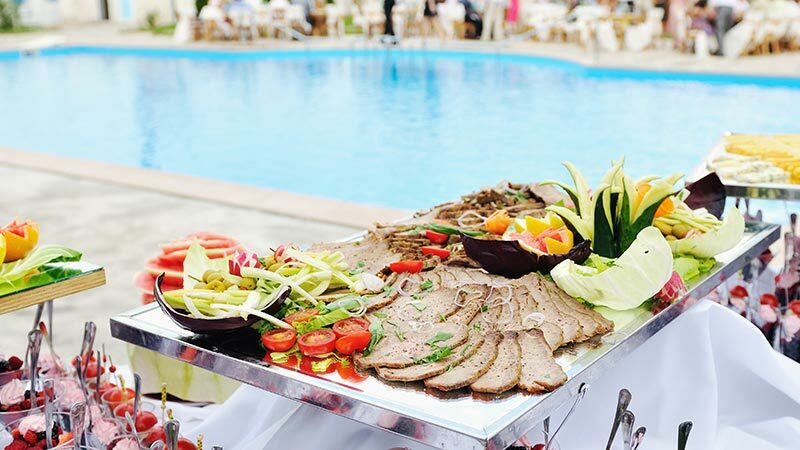 We are a complete hassle-free caterer! !